Goldsmith dirixindo a London Symphony Orchestra, 2003. Jerrald King "Jerry" Goldsmith, nado nos Ánxeles 10 de febreiro de 1929 e finado en Beverly Hills (California) 21 de xullo de 2004 foi un compositor e director de música coñecido polo seu traballo na creación de bandas sonoras de cine e televisión. Compuxo bandas sonoras para filmes notables como The Sand Pebbles, O planeta dos simios, Patton, Chinatown, The Wind and the Lion, The Omen, The Boys from Brazil, Night Crossing, Alien, Poltergeist, The Secret of NIMH, Gremlins, Hoosiers, Total Recall, Basic Instinct, Rudy, Air Force One, L.A. Confidential, Mulan, The Mummy, tres filmes de Rambo, e cinco de Star Trek. Foi nomeado a Premios Grammy, nove Globos de Ouro, catro BAFTA, e dezasete Premios Oscar. En 1977, recibiu un Oscar por The Omen. El colaborou con algúns dos directores de cine máis prolíficos da historia, incluíndo a Robert Wise (The Sand Pebbles, Star Trek: The Motion Picture), Howard Hawks (Río Lobo), Otto Preminger (In Harm's Way), Joe Dante (Gremlins, The 'Burbs, Small Soldiers), Roman Polanski (Chinatown), Ridley Scott (Alien, Legend), Steven Spielberg (Twilight Zone: The Movie), and Paul Verhoeven (Total Recall, Basic Instinct). Porén, a súa colaboración máis notábel foi probablemente a realizada con Franklin J. Schaffner, coa cal Goldsmith compuxo a banda sonora de O planeta dos simios, Patton, Papillon e The Boys from Brazil. 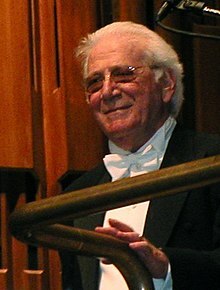 Jerry Goldsmith na IMDb (en inglés). Dupuis, Mauricio: Jerry Goldsmith - Music Scoring for American Movies, Rome, Robin, 2013, p. 265 (ISBN 978-88-6740-188-8).